Stylish, flattering, and quick to sew, the Schoolhouse tunic is a versatile addition to your wardrobe. 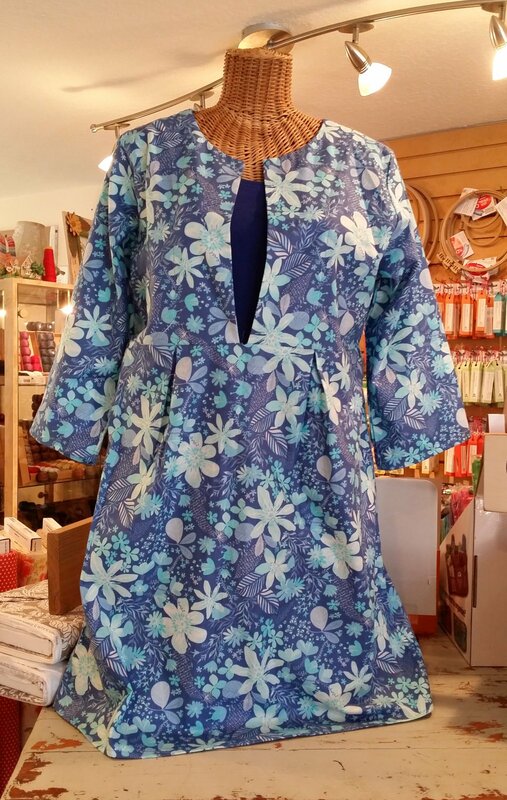 This pattern lets you make a tunic to wear as a dress or over jeans – or make a shirt. The Schoolhouse Tunic features front and back pleats, 3/4 quarter length sleeves with optional elastic gathering at the cuff, and an open bodice perfect for layering over your favorite camisole or tank. The pattern includes instructions, assembly diagrams, and full-size pattern pieces for Women’s sizes 2-20.